Established in 1960, by Mr. Ng Kia Cheng, a first generation Chinese immigrant, Siam Express originally operated from a Bangkok rented shophouse with just four employees. As the commercial airline business grew, so the organization expanded rapidly, and, whilst still 100% family owned, the company now employs over 50 personnel in Thailand. Providing a full range of travel management services, Siam Express, operating from three strategically located branches, is currently one of the oldest and most trusted travel companies in Thailand. Our services also extend worldwide through partnership agreements with Global Travel Companies and independent local operators. After over 50 years of operation, high standards of service remain our key motivation and nothing pleases us more than to see the outcome of successful business missions or perfect once in a lifetime vacations. 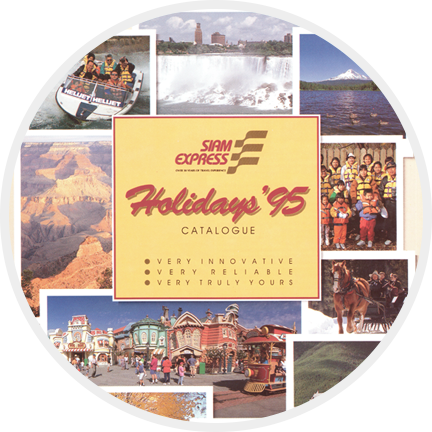 Siam Express Travel Services Co., Ltd.
3 owned corporate travel offices. 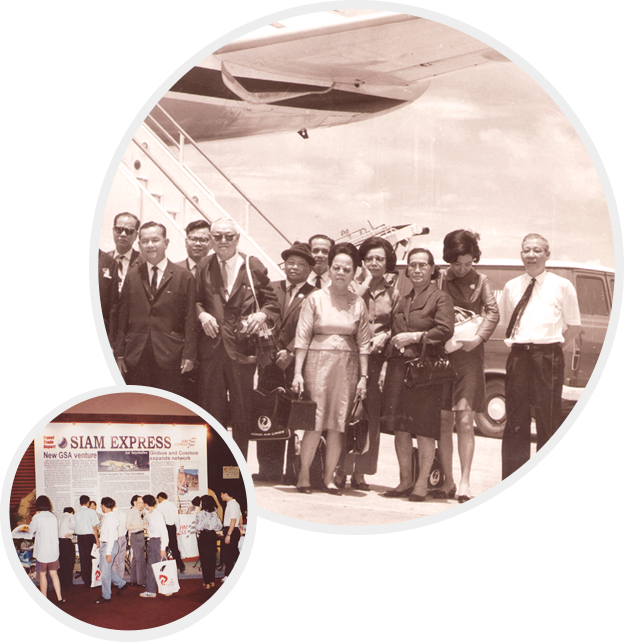 A group of Thai tourists leaving Bangkok by Japan Airlines on their first visit to the United States as part of a Siam Express tour.